Seniors! 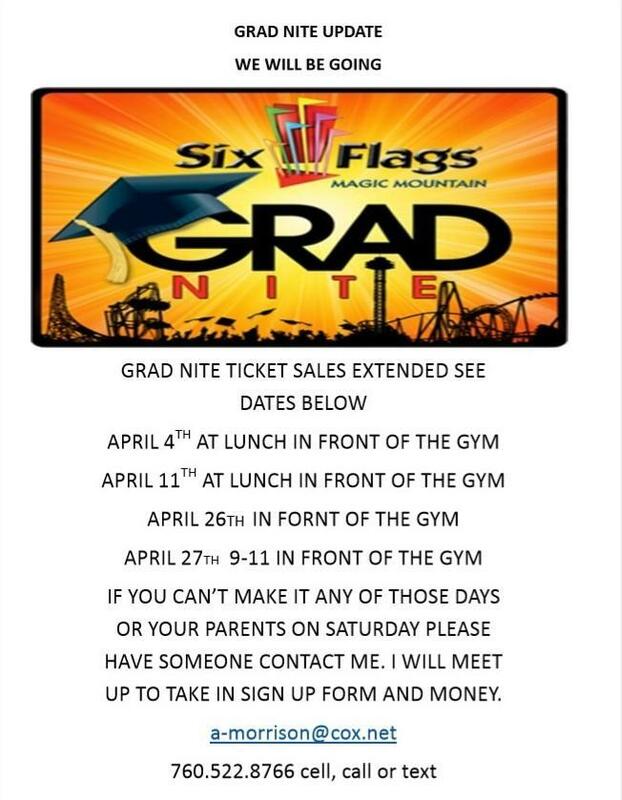 Do not forget to buy your Grad Nite tickets for Six Flags Magic Mountain. Bring your signed permission slip and $160 onApril 11, April 26, or April 27. See the attached flyer for more information.